One of my favourite "Q" words: queue. It looks like you should say 'kwee-uw' or something. But no, just 'q'. Oh, and how one queues can be so different in different places! I'll never forget the first time I had to pee in the Philippines. We had just gotten off the flight from Canada via Hong Kong. I think it was around midnight. I hadn't slept in what felt like days. I had to pee so bad! I went into the first washroom ("C.R.") we saw and stood in line. Or at least, what I thought was the line. But these Filipinas kept cutting in front of me! How rude! I was tired and frustrated and I really had to go! Finally I realized that they were lining up in front of the individual stalls. They were probably wondering what the weird white lady was doing just hanging out in the comfort room. Since then I've come to learn that queues work very differently in different places. 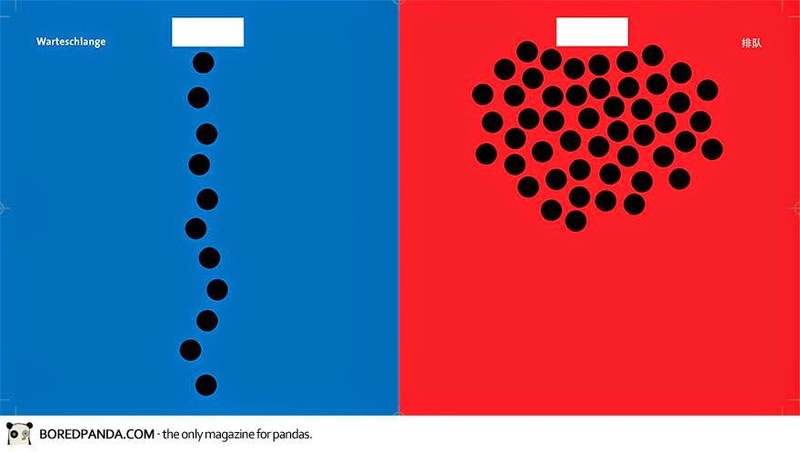 There was an East versus West infograph going around a while ago that illustrates it nicely. It was created by Yang Liu, a woman who is Chinese but grew up in Germany. Many of her comparisons are quite accurate from what we've experienced. German versus Chinese style of queuing. At shops and airports we often will have people join the "line" by standing next to you or getting as close to the front as they can until someone lets them in. But not everyone does this. And no one seems to mind. We haven't been able to figure out why some people do, some people don't and why everyone seems ok with it. We've chalked it up to one of those Asian cultural norms we just don't get. Sometimes it irritates us that we feel like we're being cut-off but we just try to let it go. Being from Canada we try to be polite but we still prefer order. Now the queues in the UK... brilliant! So, when you are travelling, please keep in mind that lines won't always work the way you are used to. It can be especially frustrating when you're tired and jet-lagged but try to just breath through the ire and know that you'll get through eventually. 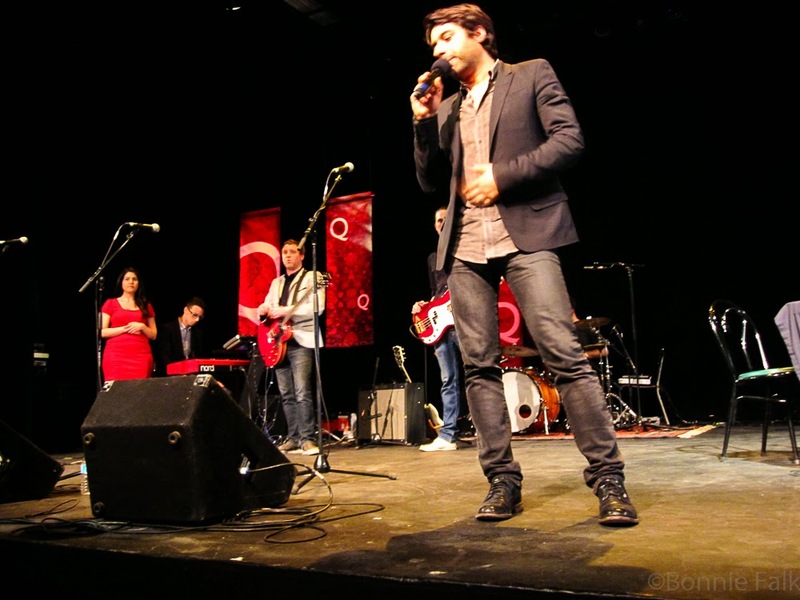 Live taping of Q hosted by Jian Ghomeshi with musical guest Imaginary Cities. Great article for first-time visitors to Asia! Thanks! It can be really frustrating if you don't know what to expect. Ah, a controversial topic :) The lack of a queue in some places of Europe really frustrated us at times. It's funny how important it is to those of us who grew up with it. Yup... cultural norms are not global norms! Awesome info. I had no idea that a queue would be that different in certain parts of the world. Oh, so very different. Glad I could be informative!